We all know that moving house is chaotic and stressful. Moving with kids just adds to the difficulty. As every parent knows, even regular life with kids can be overwhelming. And if there’s a major disruption in your children’s routine? Then you had better be prepared. That’s why we’ve compiled these tips to deal with a move with children. Telling your kids about your intention to move is often the first step. Timing is crucial here—too late and it’ll be an unpleasant surprise for your children while too early could be difficult for them to truly envision the change. Usually, however, the earlier you tell them, the better. Kids need time to process and get used to the idea of moving. Trying to keep your plans a secret is nearly impossible. Kids are smart and will easily pick up on everything, either by overhearing your conversations, seeing the preliminary processes of moving, and even noticing changes in your behaviour. Of course, you don’t always have the luxury to tell your children well in advance. For example, you could be moving for a new job, which can take quite some time to be finalised. In any case, try to inform your children of your move as early as possible. When breaking the news, it helps to tell them the appropriate amount of information. Gather the whole family round the table and have an open conversation. You should tell your kids the reasons, the expected day, and the process of the move. This conversation is also the perfect opportunity to warn them of disruptions to their routines. For example, you’ll probably have strangers coming in to view your home. These are usually potential buyers, house surveyors, or professional movers. Be sure to ask your kids about what they think of the move. Including your children’s opinions during this time is crucial because the move greatly affects them. Asking open-ended questions will facilitate further conversation, which in turn improve understanding on both sides. Not only will it show that you’ve carefully considered their thoughts, you might even get great suggestions as well. This next tip is related to taking in your kids’ opinion, which is to get them involved. Usually, for kids, moving house seems like a decision being forced upon them. Indeed, if you just tell your children that the whole family will relocate to a new city, they’ll most likely refuse to go along with your plan. Instead, have them make decisions related to the moving process. Take your kids with you when you’re viewing houses and ask them what they think. Let them choose their preferred room and start planning how they’ll decorate their new space. If you’ve already decided on a new home, take some time to visit the area. Frame the visit as a way to explore their future home, spinning it as an adventure for your kids. Not only will it get them excited about the move, it can also help reassure them about any concerns that they might have. Do as much research as you can about the things to do in the area—nearby parks, sports centres, shops, and restaurants—and make a list of places you’re most excited to visit. And who knows? They might even get a head start on making new friends. Prior to the move, your children will most likely be fearing the worst. After all, they don’t know what their new home will be like. By visiting and researching beforehand, you’ll quell those fears. During a move, it’s easy for parents to show the stress that they’re going through. Unfortunately, this stress will have an adverse effect on the kids as well since negativity easily rubs off on your child. Focus on the positives of the move, such as a new neighbourhood to explore, more living space, less hustle and bustle of the city, or even the chance to get a pet! Highlight the wonderful aspects of your new home, rather than the big changes and losses, to get your kids excited for the move. Despite this, you should also demonstrate to your kids how to manage sadness appropriately. Even though you might be sad about the move yourself, try to be strong. After all, your kids look up to you for support! As part of the preparations for a move, there’ll be plenty of disruptions to your regular schedule. You’ll need to make time for home surveys, packing, and cleaning your house. Often, you’ll need to forgo some of your regular activities. Despite this, try to maintain at least some of your old routines. For example, if your family eats out every Friday night or goes on a weekly outing, do as much as you can to continue this routine. For younger ones, keep the same mealtime and bedtime rituals to keep a sense of regularity in their home life. Preserve the rules and culture in your family since any abrupt changes to household dynamics is bound to upset your kids. This is because children are creatures of habit and rely on predictability to feel comfortable. To help your children grapple with the emotions of a move, it’s necessary to have a proper goodbye to their soon-to-be-old surroundings. Before you up sticks, make sure to find a way to preserve the memories of your home, family, and friends. 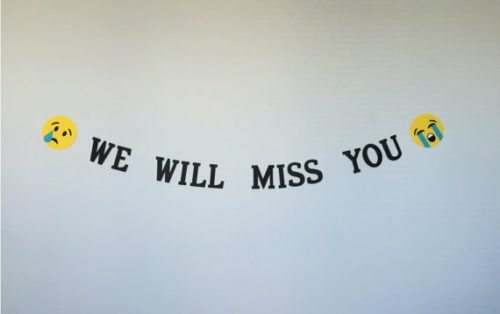 Have your kids help out in planning a farewell party. Usually, organising multiple small get-togethers is much more effective in saying goodbye since these feel a lot more personal than one big party. Perhaps they can send out cards or visit their friends one last time too. Another great way to memorialise your old home is to create a photo album or scrapbook. Your children can take the pictures and write their favourite things about your old house. Having something tangible will work fantastically as a reminder of all the great times they had. It’s time to get creative! If you feel overwhelmed by your kids’ reactions to the move, there’s always help available. Ask friends and family who’ve been through this before about any advice. Each parent will have their own valuable insights on how to make moving less stressful for kids. Don’t be afraid to ask for advice—you’ll be glad you did! Additionally, on the actual moving day, it might be helpful to ask help from friends and family when it comes to your kids. 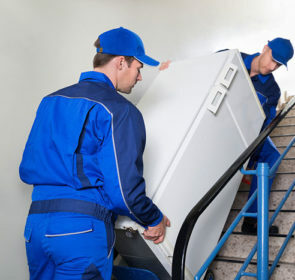 Having children running around when movers are busy doing their work is dangerous and could slow down the whole process. To avoid any injuries, it’s worth considering arranging for someone to watch over your kids for the day. A move is a very big change for kids. So much so that you’ll likely experience a few issues during the transition period immediately following the move. This is why you should be ready for regression, in one form or another. Don’t panic if you find that your kids have regressed; it’s a completely natural way of dealing with the change. The troubled emotions caused by a move can manifest itself in poor sleeping patterns, appetite change, clinginess, and even tantrums. What’s important is that you allow enough time and space for your children to come to terms with their new environment. Each child is different and will adjust at their own pace, usually within a few months. Moving with children is tough. If done without preparation and consideration your kids will most likely feel left out, angry, and strongly oppose the move. However, by following the tips mentioned above and making them feel involved, moving with kids can be stress-free, easy, and even fun for everyone in the family. 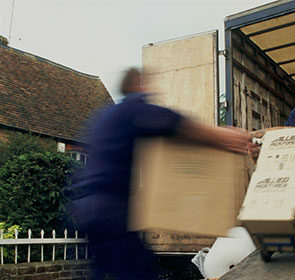 Are you ready to start the moving process? If so, then it’s time to start looking at removal companies in your area. 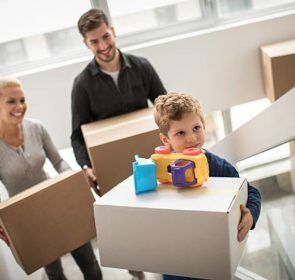 Moving professionals are very experienced in helping families relocate to a new house, meaning they’ll be able to offer further advice on moving with kids. To find the best company for you, use our free quote request form. 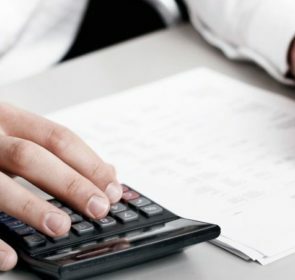 You’ll be able to source a trustworthy, knowledgeable company, saving 40% compared to if you didn’t compare prices!